Vusi Cebekhulu is a Community Radio Project coordinator for Sonke. He has been in the field of training on HIV/AIDS and gender related issues since 1998, when he joined Planning Parenthood Association of South Africa (PPASA) as a contraceptives depot holder. 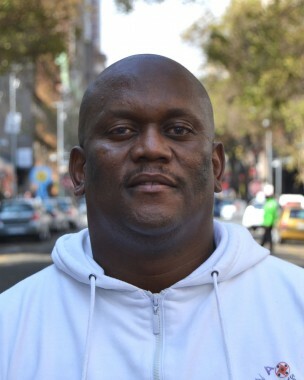 In 2001 he was appointed as Men As Partners PPASA Provincial Coordinator, and participated in the establishment of Men in Partnership Against HIV/AIDS in Cape Town. In 2004 he joined the Reproductive Health Research Unit as a project coordinator doing research in inner city hostels. In 2005 he consulted with Engenderhealth to assist Hope Worldwide in mobilising men in Soweto. Vusi has a Project Management Diploma and is also currently doing Theology studies.